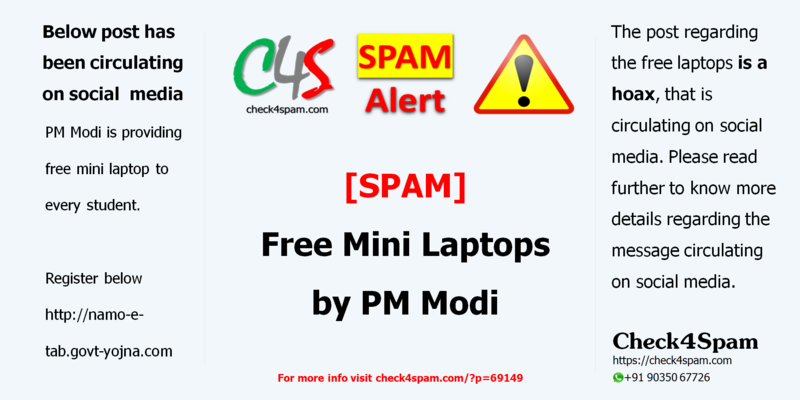 The post regarding the free laptops is a hoax, that is circulating on social media. Please read further to know more details regarding the message circulating on social media. The link posted above will take you to a page where it will ask you to share the post to 7 WhatsApp Groups or friends. Like all the other similar scams which we have reported this one may lead to automatic downloading of Malware . The Malwares can harm your phone and use your contacts and other information from your phone. We strongly recommend that you stay clear of the hoax running around in the net.